An easy to make dessert base that can be combined with many different fillings. Start by mixing all the ingredients in a bowl before adding the milk. You need to add milk and stir with a whisk until the mixture reaches the correct consistency. 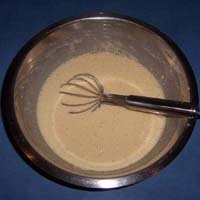 You should aim for a thick but freely running mixture. 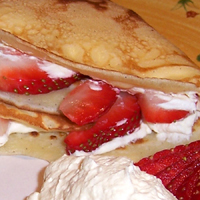 Preheat a pan and put a little oil into it to help prevent the pancake from sticking. Then, using a ladle, pour one ladle full of the mixture into the centre of the pan. 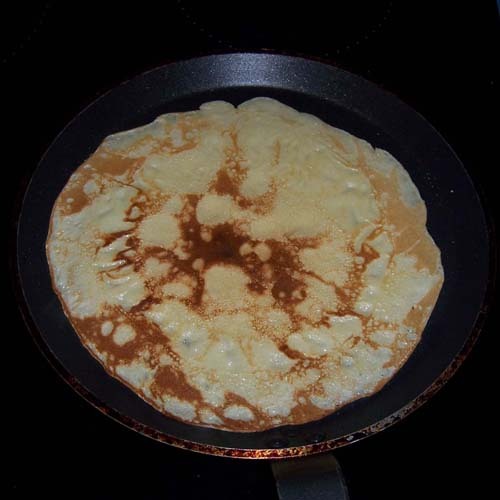 To make a thin pancake spread the mixture around the base of the pan by tilting it in a circular motion. Making use of a pump up spray bottle makes the job of spreading the oil a lot easier. After about a minute or two, when the bottom of the pancake is golden brown, flip it over and cook the other side. The second side of the pancake should take less than a minute to go golden brown. 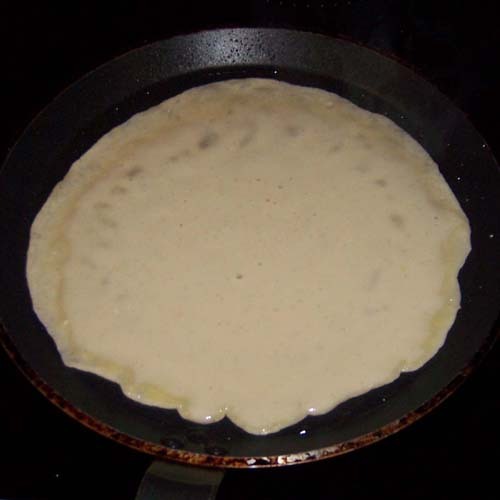 Once the cooking is complete, flip the pancake again so that the presentation side is on the bottom and transfer it to a plate. 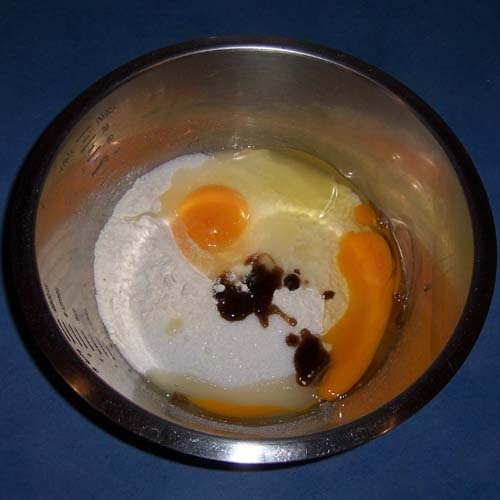 Repeat the cooking process until you have used all of the mixture. 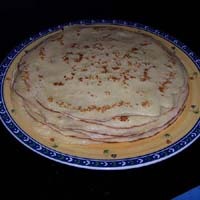 And have a stack of pancakes ready to eat. My favourite however is one of the simplest to prepare. 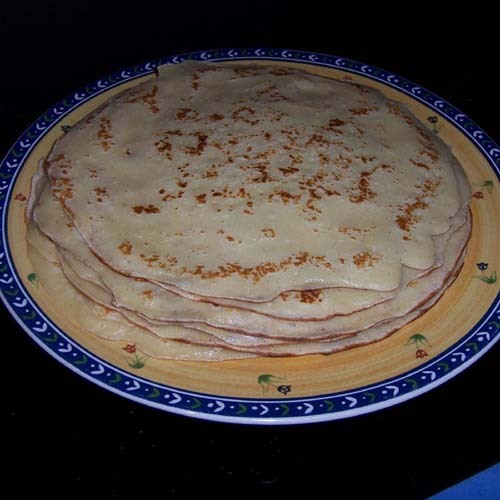 Simply sprinkle some sugar over the surface of the pancake and then squeeze some lemon juice onto the sugar before rolling the pancake up into a tube. A couple of these make a very good dessert to finish off a meal.